The past fiscal year was noteworthy for two reasons: what has been termed the “Great Recession” reduced stock market values around the world and, ironically, the Thomas Sill Foundation awarded its largest grant since being established in 1987. While a nasty bear market is bad news for those with a short investment span, it is simply a period through which foundations and endowments will pass. Our granting budget for the year was not affected by the falling markets, although the coming year may see some effect even as the market recovers. Nevertheless, the Canadian Fossil Discovery Centre in Morden was awarded $250,000 towards the development of a museum that cannot be duplicated anywhere in Canada. The Manitoba Escarpment which lies immediately to the west of Morden is rich in mosasaur fossils. These critters are the water-dwelling counterparts to the badland-roaming dinosaurs. While located in southern Manitoba, this treasure really belongs to the world. Accordingly, UNESCO World Heritage Site status is being pursued. 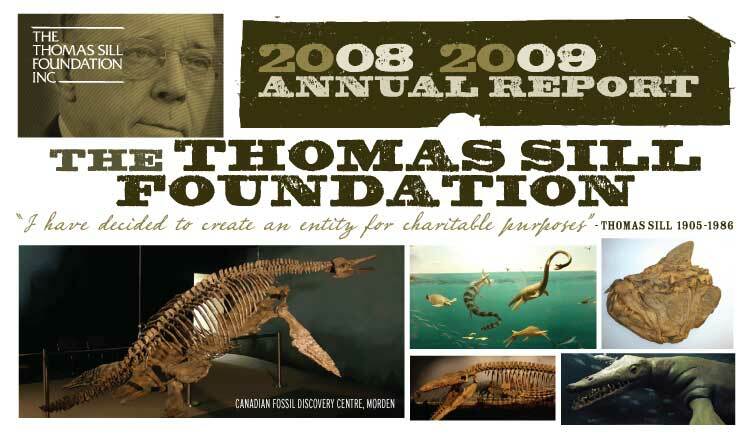 While the Canadian Fossil Discovery Centre grant was our most prominent award (even the Winnipeg Free Press and CBC Radio covered it), we are equally gratified to have helped a variety of charities throughout the province with smaller, yet important, grants. In total, cash grants were made to 71 charities in the amount of $1,063,383. Individual grants ranged from $600 to $250,000, including some multi-year grants. 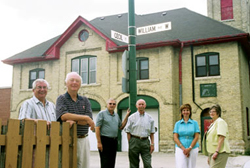 Rural and northern charities received 61% of these grants and Winnipeg agencies 39%. On an annualized basis the average grant was $11,300. Please click on “Enter Annual Report” below to view all the grants.